We all know that the kitty litter cake is a über fun cake for halloween! But you can easily modify it for other occasions. Preheat the oven to 175 degrees Celsius. Grease the cake pan(diameter about 26 cm). Use a electric mixer to mix together eggs and sugar into a light foam. In a separate bowl combine the flour, potato flour and the baking powder. Mix the flour mixture carefully into the egg and sugar foam. Pour the batter in a greased cake pan. Bake in the lower part of the oven for 40 minutes. Preheat the oven to 200 degrees Celsius. 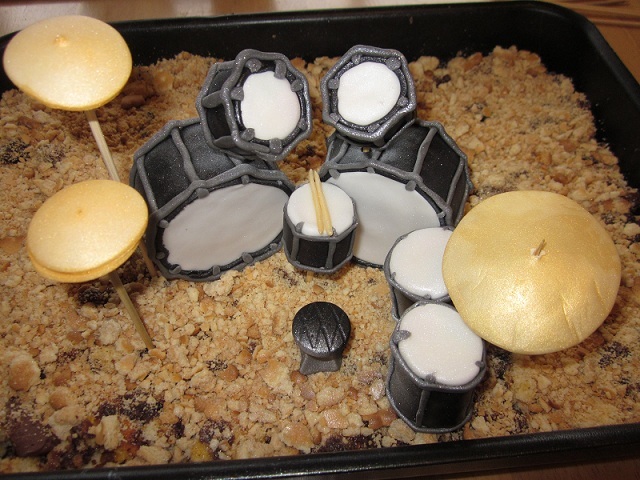 Grease the cake pan (diameter 20-24 cm). 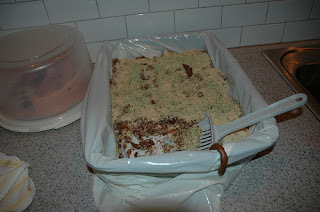 Melt the chocolate and butter in a sauce pan over a low heat (stir stir and stir so the mixture wont burn). In a separate bowl use an electric mixer to mix the eggs and sugar into a thick light foam. Use one more bowl to mix the flour and baking powder. Combine the egg and sugar foam with the flours stir it gently. Add the melted (and cooled) chocolate and butter mixture and keep mixing it gently. Pour the batter in a greased cake pan . Bake for 15 minutes. If you want the cake to be a mud cake bake only for 10 minutes. If you are able to restrain yourself the cake will taste awesome after spending one night in the refrigerator! 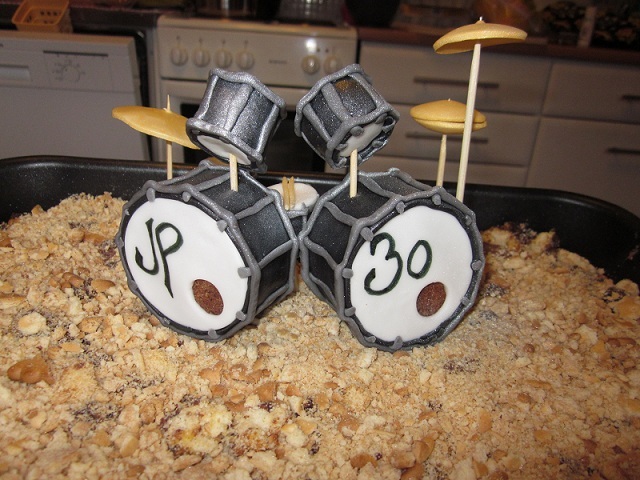 Here's the version I made for my husbands 30th B-day with a little drum kit on top. I didn't use the green food colouring here. I've also made this so that there was a little pink tractor on it :) Only your imagination is the limit!